This LC newsline is a rather personal one for me and inspired by my experiences over the last decade and especially the last year or so. I have been and am a member of the Linear Collider Collaboration (LCC), have worked on ILC for the last ten years, have contributed to the CLIC Physics & Detector CDR and was one of its editors, am a member of the International Advisory Committee for the CEPC in China and last but not least have a day job, where I am responsible for the Physical Sciences and Engineering directorate at Argonne National Laboratory, which forces me to look at our field of particle physics in a broader physics perspective (still only physics). The opinions expressed here are my own, they are flavoured by my background and not everybody will agree with them. Over the last few years the regions of the world have produced strategic roadmaps for Europe and the United States. There is no official roadmap for Asia, but there are ambitions in Japan to build the ILC and the Chinese particle physics community is putting forward a proposal for a circular e+e- collider with an energy of about 240GeV in the center of mass, possibly followed by a proton-proton collider in the same tunnel. 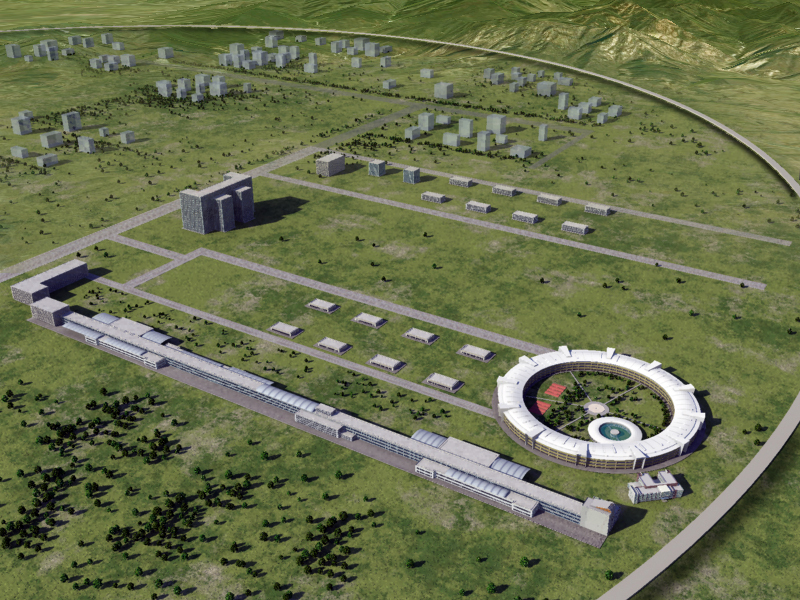 CERN has formed a study to look at Future Circular Colliders (FCC), one of which is a ~100Tev proton-proton collider. For the sake of simplicity I will call the possible Chinese proton-proton (CppC) machine also a “~100Tev class machine”, although its energy will most likely be less, but still several times above the current LHC energy of 14TeV. I will call such proton-proton colliders, which for now are FCC and CppC, “LHCx5” machines. The strategic roadmaps in Europe and the US can be divided into two parts: one is the part that can and will be realised from HEP budgets available over the next 10 years or so and include the upgrades to the LHC and the LBNF/DUNE at Fermilab in the US. There are agreements either existing or being put in place to execute this programme, and there is close collaboration between CERN and Fermilab to do this. So this will happen. The other part of all strategic roadmaps (now including EU, US and Japan) encourage the realisation of the ILC in Japan as the next energy frontier machine, and as a natural follow-up to the LHC. However, there is one crucial difference: the realisation of the ILC is not in any of the HEP budgets in the world and substantial additional funds will be needed to construct it. The ILC has also been and is a global effort and supposed to be a global machine. However, what emerged in the last few years is that Japan will be the host, if it happens, and that the world expects Japan to make the first step. It is global, but hosted locally in Japan. This is currently a point of contention in the sense that the world is waiting for Japan to make the first move and Japan is waiting for the world to say: “Let’s do it”. This is slightly different for the other potential energy frontier machines, which, although global, originate from a local host. One can write many pages of differences between the possible future energy frontier machines, but for my arguments I will keep it rather simple: they are all virtual, they are at different stages of readiness for construction, they all will require a host country (if you count Europe as a country) to make a decision whether to go forward. The host “country” will have to make a large investment and then high-level negotiations ( not involving particle physicists) will be required with other partner countries about contributions and many other items. It is the cost of future colliders that drives all this additional work,. Although budget estimates for all potential future colliders exist, they are not always public and in some cases (like China) the argument is made that it is cheaper. I have found it useful to use as a measure of relative cost in a country or region, not a currency, but facilities that are constructed for other sciences, e.g. a light source. On paper, a light source is substantially cheaper to build in China than the US for example. Advanced countries seem willing to build a light source on their own, so it is interesting to express future colliders in units of light sources (LS). In the US a light source costs about $1B. When the ILC cost estimate was converted to US accounting in 2008, it came out to about 15 LS. It was immediately concluded that this was not possible and it ended any discussion about such a machine in the US. Several years before the P5 roadmap in the US, LBNE tried to suggest a project which was about 1.5 LS, and the feedback was: reduce to less than 1 LS. Looking at the ILC and for example CEPC, they are about 10-15 LS in each of those countries. Looking at it that way, indicates the size of the budget that HEP is asking for a future facility compared to other sciences and a light source has users from many different fields, not just physics. In summary a future potential energy frontier collider for HEP will require a strong science case (which I have assumed here exists), a strong local host, be global and because of the size of the budget will require high-level political negotiations between countries, where “our future collider” is a small piece of a larger agreement or framework between countries. Decisions may be made for reasons that have nothing to do with science.